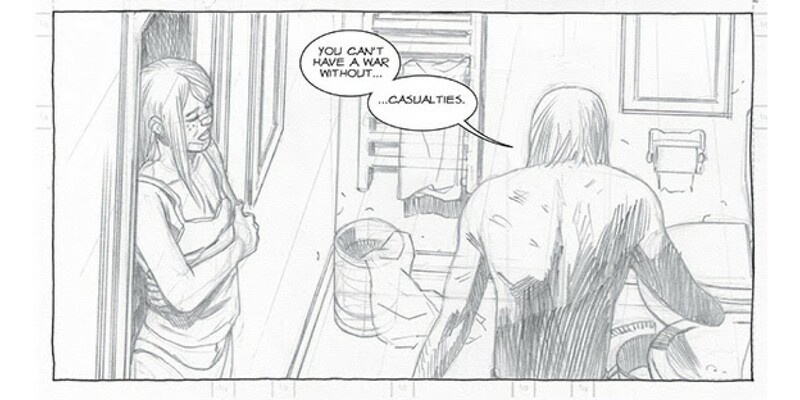 In October, fans of Robert Kirkman’s THE WALKING DEAD will see the New York Times bestselling comic as never before with the publication of THE WALKING DEAD: ALL OUT WAR ARTIST PROOF EDITION. 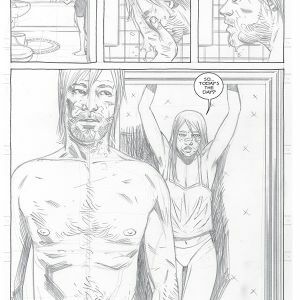 In this 248-page hardcover from Image Comics/Skybound, artist Charlie Adlard’s raw pencils for the twelve-issue arc are reproduced, uninked and unaltered from how they appear on his artboard. The ALL OUT WAR story arc marks a major turning point in THE WALKING DEAD, as Rick Grimes unites several communities to fight the villainous Negan and his “Saviors,” while around them the dead continue to roam. The future of the Survivors, Hilltop, and Kingdom depends precariously on Negan’s right-hand man, who has turned against him — and not everyone is going to see it through the war alive. 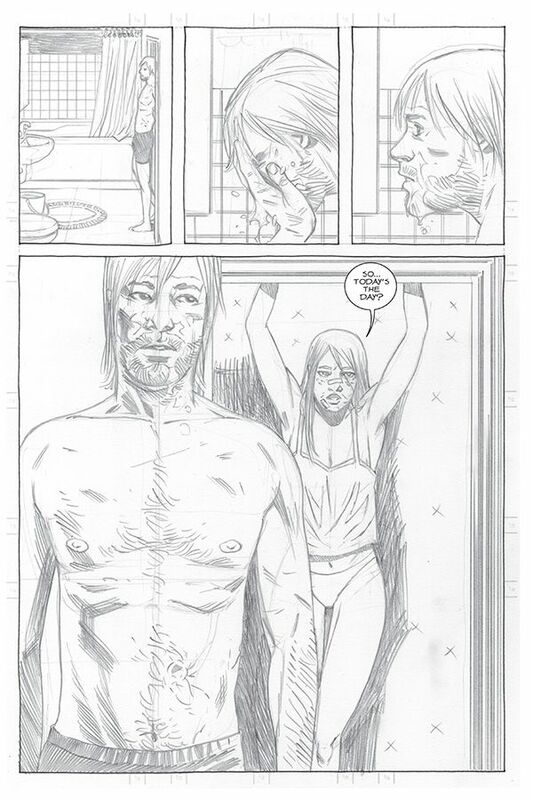 Adlard has penciled and inked more than one hundred issues of THE WALKING DEAD. Inker Stefano Gaudiano was brought onto the art team (which includes toner Cliff Rathburn and letterer Rus Wooton) at the start of the ALL OUT WAR story arc. “And just sometimes it's nice not to have a finished thing,” continued Adlard. “To be able to see the little bits of ‘magic’ occurring in the happy accidents of random pencil marks, which were never intended for anyone other than Stefano to see, where I wasn't caring that it would be seen by a wider audience, makes it all a little bit bolder."